Looking back at my blog I noticed there weren't that many Lancashire towns featured, so I thought I’d rectify that matter with a trip to Leyland. Leyland is a relatively easy place to get to from Manchester: M60, M61 and junction 8 then follow the signs to Leyland. However there is a slightly longer but quicker way: M60, M61, M65, M6, junction 28 and follow the signs for Leyland. Parking is easy in Leyland. There is a big Tesco near the centre of town with a free car park – job done. Leyland itself is an unassuming town. The shops on the main road are predominantly simple red brick shops, with rows of plain two-up-two-down Victorian terraces on the side streets. There is a small row of 60s built shops and peppered amongst these are some rendered buildings. 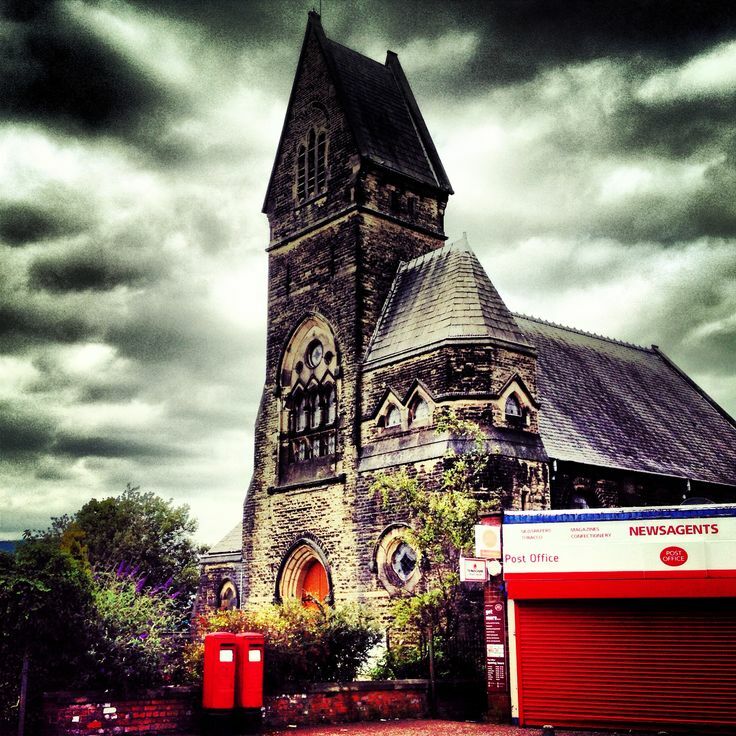 However the only places of architectural interest are the pubs and the local church. It was a quiet day in Leyland and there were only a few people pottering about. However the week before there had been the Leyland Festival. That explained all the bunting along Hough Lane. As we walked down the street we spotted a few dog-owners chatting. We had to double take, as what we assumed was a rather large dog was in fact a tiny chestnut pony with a braided mane. I was amazed how calm the pony was stood in the middle of Leyland. 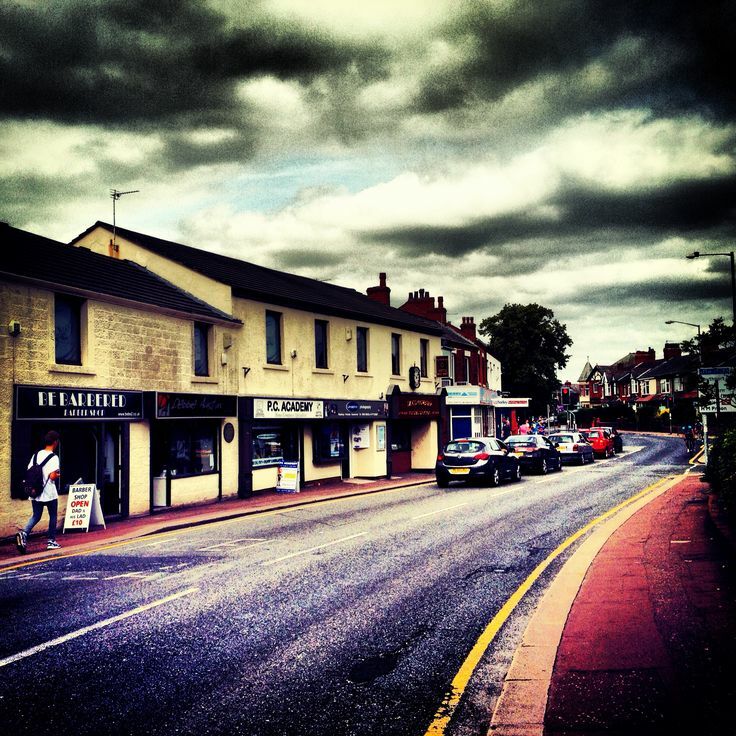 There are quite a lot of shops in Leyland, spread out along Towngate, Hough Lane and Chapel Brow. One of the main reasons we came to Leyland are the number of charity shops this place has. There were some shops I’d never come across like Fusion. I really liked St Catherine’s Hospice Shop on Sumner Street. It does a fine line in furniture and has lots of stock to rifle through. Neil did manage to pick up some vinyl records at the Sue Ryder shop. The weirdest thing I found in one of the charity shops was a pair of Vauxhall Opel / Vectra headlights for £15 each. It was a slow day at the Market. There is both an indoor and an outdoor market. It was a rare sunny day where the indoor stall holders were jealous of the outdoor stall holders as it was very hot indoors. I can’t say the market was very exciting, just standard market stuff although there was the odd craft type stall in the outside market. Outside the Market entrance on the main road is a random bronze statue of a walking man in a flat cap. It's truly bizarre. The thing you will notice throughout Leyland is the use of the old style British Leyland lettering. It’s used by the Market, the local Taxi firm and the Leyland Lion pub. On the roundabout there was a British Motors monument to Leyland's industrial heritage. Thankfully there is still a factory in the town turning out Leyland Trucks, which is good to know. The shops in Leyland are predominantly your usual suspects – estate agents, pubs, hairdressers, cafes, banks, card shops, florists, etc. However it's good to see a secondhand bookshop and Rimmers Music selling musical instruments. What puzzled me was why one of the barber shops was called ‘Bebarbered’. What is it a pun on? All I could think of was ‘be bothered’, but that doesn’t make sense and has no link to hair. We did notice there were at least two e-cigarette shops. E-Cigarettes seem to be the new fad and I’m not entirely sure whether they are really healthy, but certainly they are the new money making venture on the high street along with payday loans and bookies. 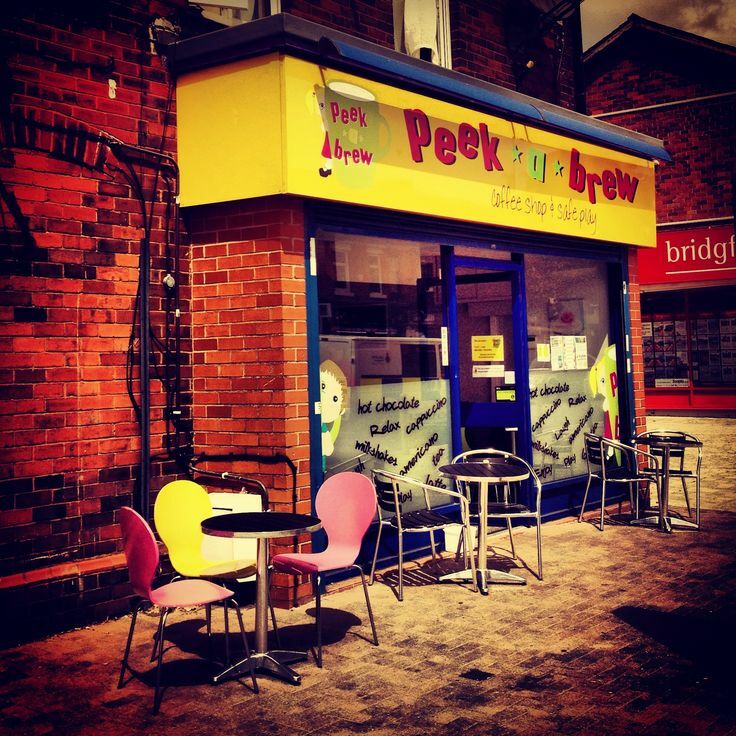 My favourite shop, mainly because of the pun, was Peek-a-Brew. This is a café turned soft play centre. It’s a great idea for parents as they can drop off kids in a dry environment and let them play for an hour, whilst they can take a break, have a coffee and read the papers in peace. All in all it was a rather laid back trip to Leyland. Whilst not the prettiest town we’ve ever been to, as Leyland does have an industrial edge to it, I was rather intrigued by the charity shops as they were a little random. If we are passing by again we'd definitely take a pit stop to browse the charity shops.